George L. Geiger was born on February 2, 1912 in Salt Lake City. He spent most of his youth in Venice, California, living a block from the beach. 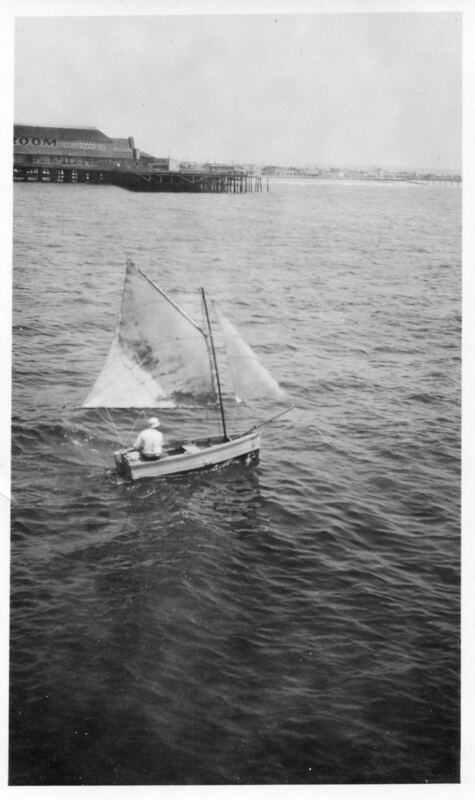 He loved the ocean and began building boats at a young age. His first was a canoe built out of barrel staves. 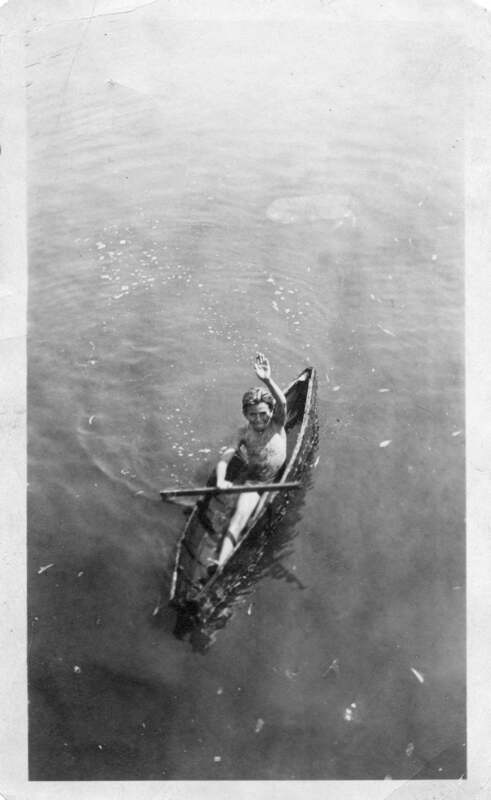 George at age ten paddling his homemade canoe in the Cabrillo Canal, Venice, California. 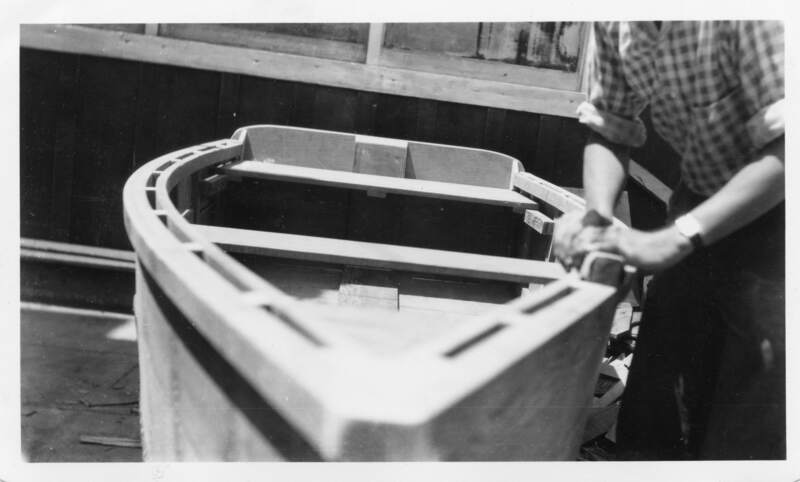 At age 15 George built the skiff “Barbara Ann,” named after his younger sister. Here he is sailing off the Venice Pier in 1927.